Now that I'm a seasoned user of Apple's iPod touch and iPad, I thought I'd put together a list of some of my favorite apps. These are ones that may be of general use, with notes on why I like them. Of course, there are also the basic apps, such as Mail, Safari, Maps, and Photos, which are always a pleasure to use. iBooks (free) - Amazing way to download and read books. From Apple, and I think it should be included when you get an iPhone or iPad! Includes iBookstore to buy books. Adjust font size and brightness, bookmark pages, take notes. Kindle (free) For books you buy from Amazon.com, that are meant for the Kindle ereader. A particularly nice way to read ebooks on the iPad. You can buy the books from within the app, including many free books. Overdrive Media Console (free) Download library books directly to your iPad. More than 13,000 libraries. For example, in central New Jersey, the Mercer County Library System is part of eLibraryNJ.com, where you can find your books (both ebooks and audiobooks) and send them to Overdrive. Watch ABC (free) Some of your favorite ABC shows may be playing on your iPad! Watch full episodes any time you want. Check out what shows are included. "Castle" is my favorite! Hulu Plus (free) Subscribe to Hulu Plus for $7.99 a month and stream current and classic TV shows. Includes shows from ABC, Fox, and NBC. 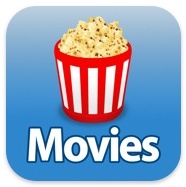 Netflix (free) Watch TV shows and movies streaming from Netflix. Its part of your Netflix unlimited membership. I'm not enough of a movie buff to subscribe to Netflix, but if you do, here's another way to watch your shows and movies! 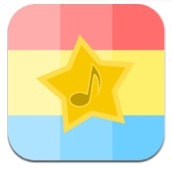 PBS for iPad (free) Watch most popular and current PBS programs free and with minimal interruption, any time you want. Do you like Antiques Roadshow or Nova? Masterpiece Theater is my favorite. 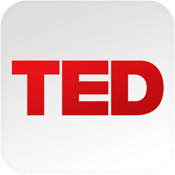 TED ﻿ (free) Presents video talks from some of the world’s most fascinating people: education radicals, tech geniuses, medical mavericks, business gurus and music legends. Even if you're not into TV or movies, I'll bet you'll find some interesting and thought-provoking talks! Infinity Blade ($5.99) This game has amazing, realistic graphics. Great to impress your young friends and relatives!﻿ If you know some young (or young at heart) would-be epic heroes﻿, don't miss this sword fighting action game﻿. Winner of numerous game-of-the-year awards. 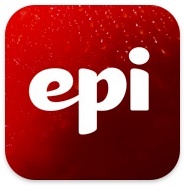 Epicurious (free) One of the best cooking apps you can get on the iPad. It includes over 28,000 recipes. The interface is beautiful with the recipes neatly organized depending on main ingredient, health restrictions, nationality, what’s new, and more. Includes a shopping list button. Zillow Real Estate Search (free) Find out home values in your neighborhood. Walk or drive through neighborhoods and the built-in GPS (on 3G iPads) shows you which homes are for sale, the asking price, recently sold houses and their selling price, plus photo tours of many. This is a fun app! Duolingo (free) Learn Spanish, French, German, Portuguese, Italian, and English.﻿ "Far and away the best free language-learning app." —The Wall Street Journal﻿. 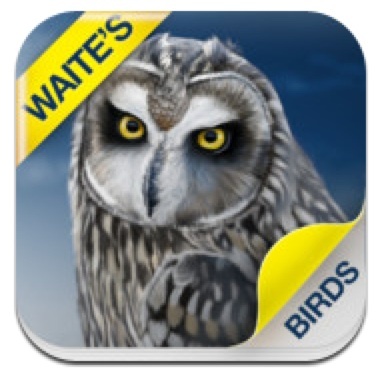 Waite's Guide to Birds of America (free for 50 species, $29.99 to uclodk all 919 species) A reference app for those who love birdwatching. Designed for the iPad, information is quick to look up and find, the photos are stunning and you can add notes, your own photos and mark favorites﻿. NPR News (free) -- My Dad's favorite news app. Local and national news. Create playlists of the stories you choose to be read to you over breakfast. Listen to your favorite NPR stations. Evernote﻿ (free)﻿ Easy to use app that lets you remember information across all the devices you use. I used to have sticky notes everywhere, but searching them was a pain. Now, I love using Evernote! Lets you take notes, capture photos, create to-do lists, and then organize them all and search them from any of your devices, including your computers. Dictionary.com (free) - Trusted reference content from Dicitonary.com and Thesaurus.com. No internet connection is needed to search for words. Nearly 2,000,000 words, definitions, synonyms and antonyms. Includes voice search, which correctly found "hors d'oeuvres" for me -- quite a feat! Google Translate (free) Translate words and phrases between more than 50 languages. In 15 of those languages you can speak a phrase and hear the translation, instead of typing it. FlightBoard﻿ ($3.99) Live flight departure and arrival status for over 4000 airports around the world. Updated every 5 minutes. Beautiful interface mimics the Charles de Gaulle Airport in Paris. Switch between departures and arrivals. 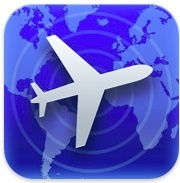 Integrates with FlightTrack, my other favorite travel app. FlightTrack﻿ ($4.99) My favorite travel app for flying. It tracks flights with zoomable maps with real-time departure info, delays, and gate assignments. I particularly like how easy it is to enter, keep, and update flight choices. Google Earth (free) - Hold the world in the palm of your hand. Fly to far corners of the world with just a swipe of your finger. Explore global satellite and aerial imagery. Ookla Speedtest (free) Find out the speed and quality of your Wi-Fi or 3G internet connectionin under 30 seconds. Tests upload speed, download speed, and latency of your connection. The Weather Channel Max for iPad (free) - One of my two favorite weather apps. In-depth weather including local forecasts and video, and innovative maps including animated last 5 hours and next 5 hours. Pinch and flick to zoom in and out and move around the maps.